Item # 309802 Stash Points: 1,897 (?) This is the number of points you get in The Zumiez Stash for purchasing this item. Stash points are redeemable for exclusive rewards only available to Zumiez Stash members. To redeem your points check out the rewards catalog on thestash.zumiez.com. 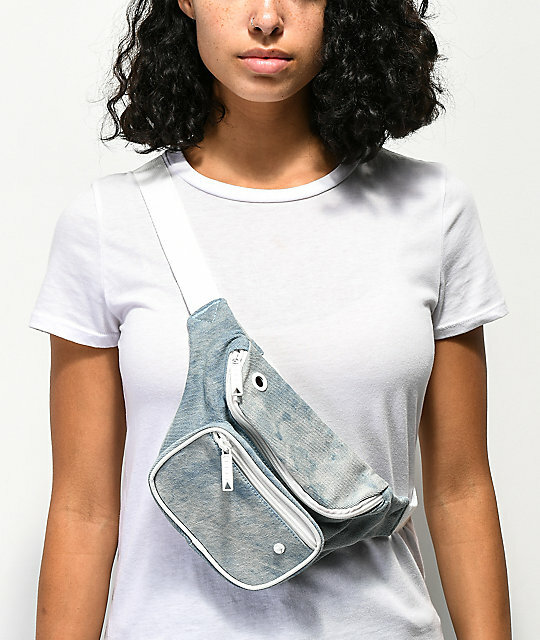 Keep all your daily needs at arms reach and hands free with the Bumbag Dazed Deluxe Blue Fanny Pack. 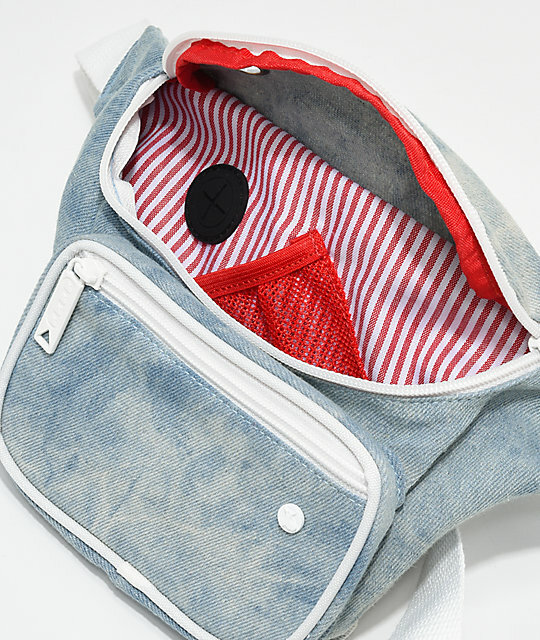 This pack features three main zippered pockets, with the primary having a media port. The adjustable strap is long enough to be worn a number of ways for ease of wear, no matter what you choose to use it for. 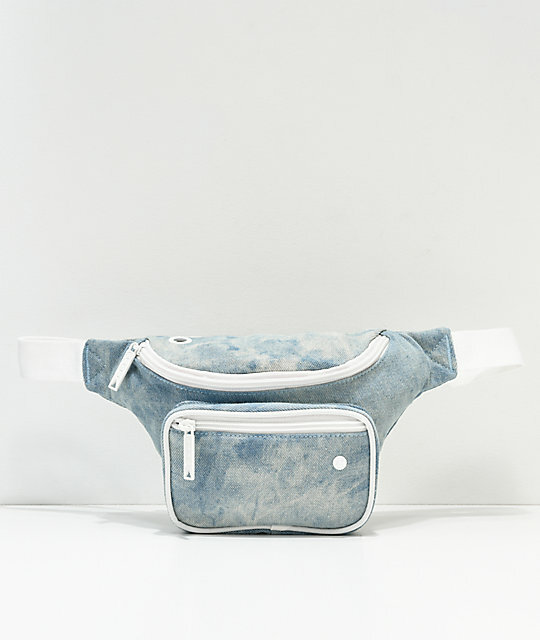 Make your life more portable with help from the Bumbag Dazed Deluxe Blue Fanny Pack. 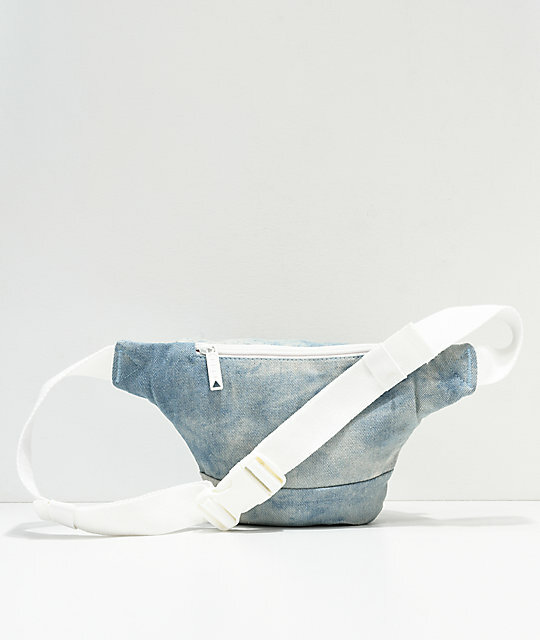 Dazed Deluxe Blue Fanny Pack from Bumbag. White metal logo emblem on front pocket. 2 front and 1 back zippered pocket. Mesh pocket in main compartments for media source. Adjustable belt strap with plastic buckle. Dimensions: 7" / 17.7cm (H) x 11.5"/ 29 cm (W) x 2"/ 5 cm (D).